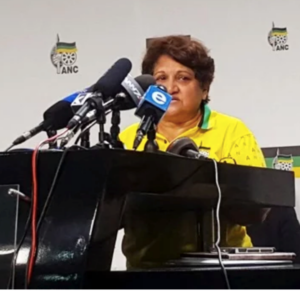 This week saw Jessie Duarte, deputy secretary general of the ANC, throwing a media related tantrum. Apparently, she was unhappy with the tone or the question of eNCA reporter Samkele Maseko, who she accused of “attacking” her. The diatribe included calling him arrogant and said that he “had a habit of intimidating everybody, a habit of making people feel you are the lord of the media”. This in no way means that the media or the press is without fault, but fair criticism and comment needs to focus on the product of their work and not that you don’t like their questions. Or style. – South Africans no longer assume anyone is perfect. Perfection is not an expectation, or even an aspiration. What is needed rather, is honesty, authenticity and integrity. It starts and it ends with that. The most magnificent policy and most efficient implementation becomes useless without this. – Parties cannot only value a free press in theory, or when it works for them. A truly free press is one of the cornerstones of any democracy and although it might be painful at times, we need to protect it and remain grateful for it. The intimidation of journalists by any political party needs to be condemned. Never call a journalist a “bully” for doing their job. It will do the party no favours. – We know that there is conflict within most political parties. Instead of pretending that the organisation is more united than melted cheese, tell us where the conflicts lie. You will be amazed how much we can handle. We might need hope and we definitely need to believe in the future, but it doesn’t mean we are prepared to continue to delude ourselves along the way.